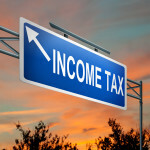 April 15th Tax Deadline, What you need to know! With April 15th right around the corner, we are here to assist you in getting your tax return or extension filed! Q: Let’s get everyone on the same page – what is the actual deadline for filing your taxes? A: You have until Wednesday, April 15th to send in your tax return. Whether you are filing by snail mail or online, remember your return must be postmarked or time-stamped by 11:59 pm. I recommend my clients file their returns electronically. That will help you avoid long lines at the post office, and if you’re expecting a refund, you’ll receive it quicker, too. Q: When should you ask for an extension? A: A lot of people think that filing an extension is a bad thing – but it is not ‘frowned upon’ by the IRS. In fact, they prefer that people ask for an extension so they can get it right the first time. If you can’t get all of your paperwork together by the deadline, an extension will give you an extra 6 months to file. But, remember if you owe money on your taxes, make your best estimate because you still need to pay by April 15th. Then, make sure you get your return filed by October 15th. Q: Is there a penalty for not filing an extension? A: Basically, there are three penalties the IRS charges fees for: a late filing fee, a late payment fee, and a penalty for underpaying your estimated taxes. You can avoid a late filing fee by applying for an extension by 11:59 pm on April 15th. But don’t forget, you can still get hit with a late payment fee if you owe money on your taxes. Whether you file an extension or not, that money is due by 11:59 pm on April 15th. Call or email us today if you need help filing your extension!